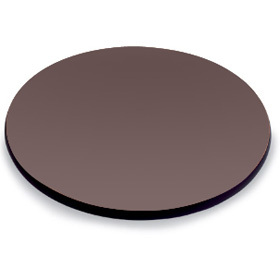 Consider a two-player game played on a circular table of unspecified diameter. Each player has an infinite supply of coins, and take turns placing a coin on the table such that it is completely on the table and does not overlap with any other coins already played. A player wins if he makes the last legal move. Which player (if any) has a strategy that will guarantee a win? Assume that the diameter of the table is greater than the diameter of the coin.